Under Arizona law, an employer that does not carry workers compensation for its employees is guilty of a Class 6 felony. Workers compensation statutes dictate that an employee may not sue their employer for damages related to a workplace injury if they are covered under a workers compensation plan. Unfortunately, there are many times that the funds disbursed to an injured employee through workers compensation does not fully cover the financial needs they now have to pay for hospital bills, rehabilitative services or to cover lost wages from time away from work. In some workers compensation cases, however, there is another person or entity that is at least partially at fault for the injuries the victim sustained. If the third individual had any involvement in the injury or suffering of the victim, that person or entity may be liable for the employees injuries outside the scope of the workers compensation claim. When scenarios like this occur, the injured employee may be able to make a third party claim, which attempts to hold the third individual or entity liable for their part in the injury without breaching the laws of workers compensation. If you or someone you know has been the victim of a workplace injury, contact a personal injury lawyer from the Phillips Law Group for help navigating the legal system and bringing the negligent parties to justice. We understand the emotional and financial hardships associated with getting injured at work, and our skilled and competent legal team can fight for your rights with a third party claim which may entitle you to compensation that workers compensation benefits did not cover. 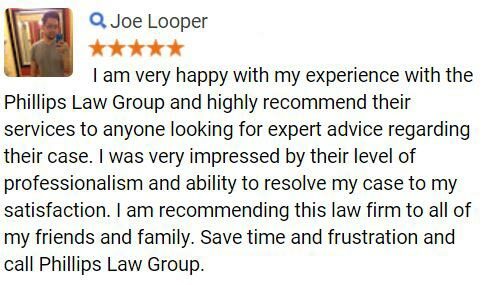 To find out how we can help, simply fill out the Free Case Review form located on the top right side of this page. Its always confidential, there is never any obligation to continue and it is 100% FREE. General workplace accidents : Faulty tools, defective equipment, or unsecured products or merchandise can all lead to a third party claim if you are able to file a claim against the manufacturer of the product or equipment. Slip-and-fall accidents: As a form of premises liability, slip-and-fall incidents can implicate the property owner or facility manager in the injuries you sustained. Construction site accidents: Construction sites are a very common place for injury and any defective or poorly constructed materials or products could lead to a third party claim for the injured employee. 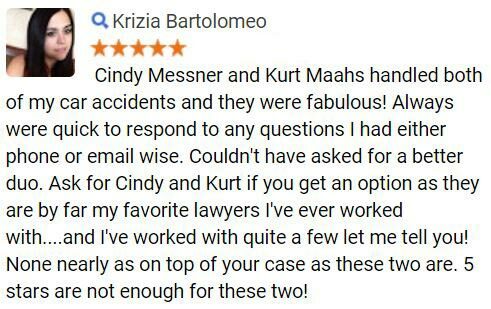 Auto accidents: If driving is part of your job and an accident or injury comes to you because of another drivers negligence, you may be able to pursue a claim against that driver and their insurance agency. To see if you are eligible for a third party claim, reach out to an experienced workers compensation law firm to understand what recourse you may have to remedy the situation. Third party claims can be complex, involving aspects of the situation that the employee and their loved one may not recognize at first. Oftentimes a worker has a very strong third party claim case without realizing it, and in those unfortunate situations the opportunity for justice and compensation can pass them by. In any accident it is important to document the facts as soon as possible, but in workers compensation and third party claims cases it is vital. The longer time passes between the event and the filing of the claim the more details can be lost to confusion or the slight inaccuracies of our memory. Employees covered by workers compensation do have a right to claim the benefits that they are owed, but in many cases these companies delay payment, underpay or simply do not pay enough to cover the cost of mounting medical expenses and those wages lost through time away from work. 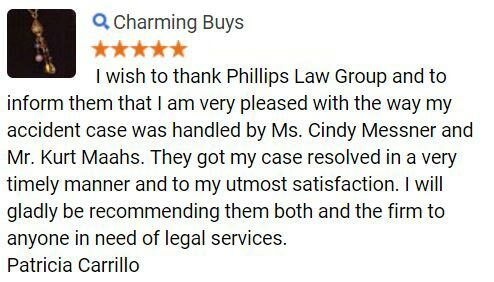 Phillips Law Group always fights for the MAXIMUM amount of compensation that our clients are eligible for in third party claims cases, and with years of experience dealing in workers compensation cases, our dedicated team is ready to represent you fairly and competently in court. 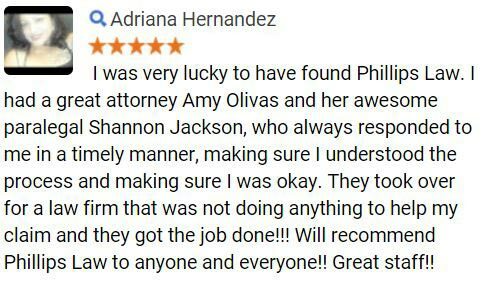 At Phillips Law Group, our Phoenix, AZ third party claims attorneys are dedicated to helping workers fight for their rights. If you or a loved one has been injured through no fault of your own while on the job, you may have cause to pursue legal recourse.